Provide comfort for the family of Louis Kasbaum with a meaningful gesture of sympathy. Louis Albert Kasbaum, Jr. passed away at home on February 5th, 2019 at the age of 94. He was born in Oklahoma City to Louis and Bernice (Brooks) Kasbaum on February 6, 1924, the second oldest of 6 children and raised in the Schwartz community where his father farmed. In order to go to high school he moved in with a family in Moore and worked on their dairy for room and board. There he met Lenora Middleton and they married after graduation in 1942. In 1943 Louis joined the Army Air Corp and the first of their three children was born. 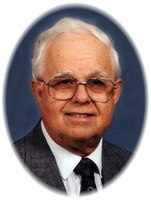 After World War II, Louis had a long and successful career at Tinker Air Force Base as a hydraulics manager while raising cattle on a farm in Moore. Upon retirement Louis and Lenora traveled in their RV throughout the U.S. and Canada. They especially loved going to Fun Valley, CO in the fall with the Van Buskirk, Hall and Morrison families. They treasured their grandchildren and great-grandchildren giving them the gifts of time, love, support and an enduring example of a Christian life. In his later years Louis enjoyed his twice weekly domino games with his friends from church. Louis was a model and inspiration of Christianity to everyone he met. 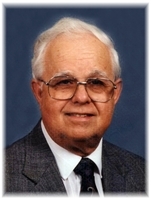 He served as an elder at the Moore Central Church of Christ for decades, teaching and guiding generations of families. His greatest joy was serving Christ and he and Lenora shared their faith and love for Christ in every facet of their lives. 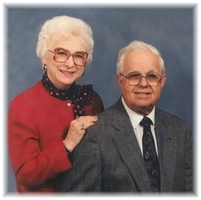 Louis and Lenora enjoyed 69 years of loving devotion to one another. They worked together to provide a happy and stable home for their children while sacrificing to ensure their education and well being. Their dedication to God and their church influenced all they did. Louis was a loving and dedicated father. He helped with the cooking, housekeeping, homework, cuts, scrapes and heartbreaks of his 3 children while giving unconditional love and Christian guidance. He is lovingly remembered as a devoted role model, fishing buddy and biggest fan by his grandchildren. His life was guided by his loving heart, faith, wisdom and strength. Brothers, Billy and Hugh Kasbaum. To send flowers in memory of Louis A Kasbaum Jr., please visit our Heartfelt Sympathies Store. We encourage you to share your most beloved memories of Louis here, so that the family and other loved ones can always see it. You can upload cherished photographs, or share your favorite stories, and can even comment on those shared by others. Provide comfort for the family of Louis A Kasbaum Jr. by sending flowers. My sincere sympathies for the loss of your dear loved one. Precious memories are yours to keep. Stay close to friends and family for support and draw strength from prayer during this time - Prov 17:17;Rom 12:12.